With a true 76 ° field of view, immerse yourself in the universe. The large, brilliant eye relief and the comfortable look give you the feeling of taking a spacewalk. The field is not artificially inflated or distorted! The sharpness in the center of the picture rivals proven planetary oculars, and even on fast telescopes you can see sharp stars right up to the edge of the picture. 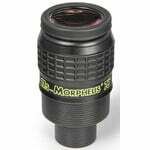 Minimal Distortion : The Morpheus optical design allows exceptionally low angular distortion. Thus, the moon and the planets are not distorted as they move through the field of view, and the field of view is close to theoretical value - and that's no exaggeration: Compare the Morpheus' 76 ° Eighteenth Field with the image in the sky. You will see that the sight really suits what the focal length and the field of self-perception are to be expected. Spacewalk Feeling: Diving into the universe - the spacewalk feel - does not occur evenly across all eyepieces. Some 82 ° oculars have a constricting effect, while others - sometimes even a smaller field of view - feel that they are directly between the stars. Two factors are important here: the eye relief, as well as a pleasant viewing behavior without kidney bean effect. 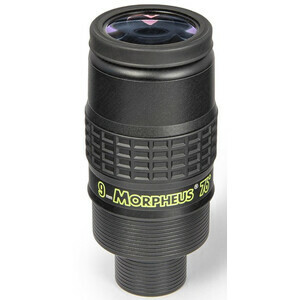 The Morpheus eyepieces are optimized for the spacewalk effect. Especially when used on binocular approaches, one has the feeling of being completely immersed in the action. 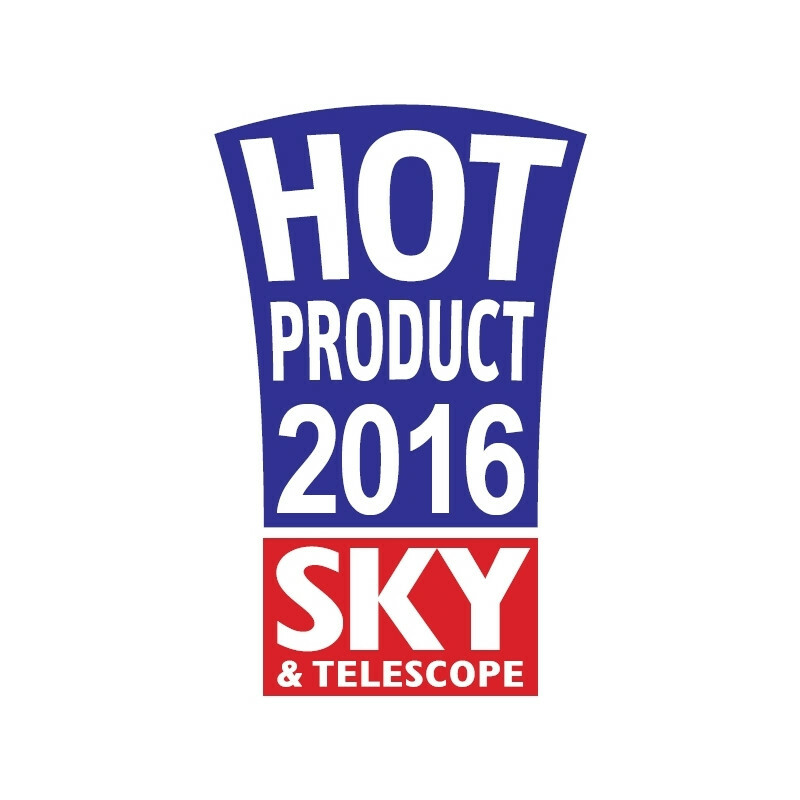 Phantom Coating® Group : The Phantom Group multi-layer coating introduced with the Hyperion eyepieces has been further optimized for the Morpheus eyepieces and adapted to the different glass types. Optimized Apertures: Like all Baader eyepieces, the apertures inside were raytraced to effectively eliminate stray light. 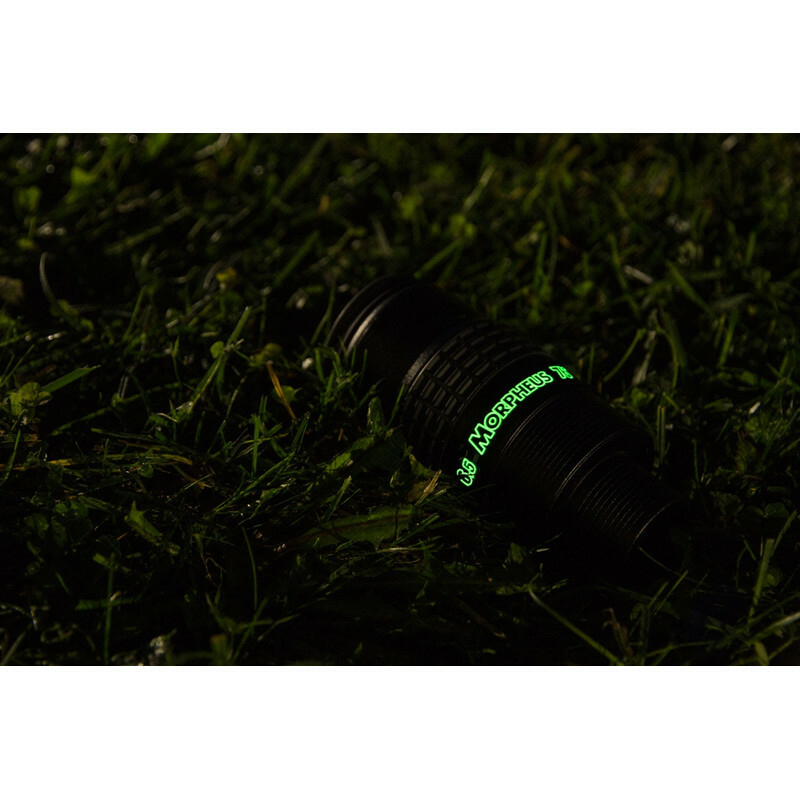 Lightweight construction: The eyepieces were constructed as stable and weight-saving as possible, not least for use on the binocular approach. 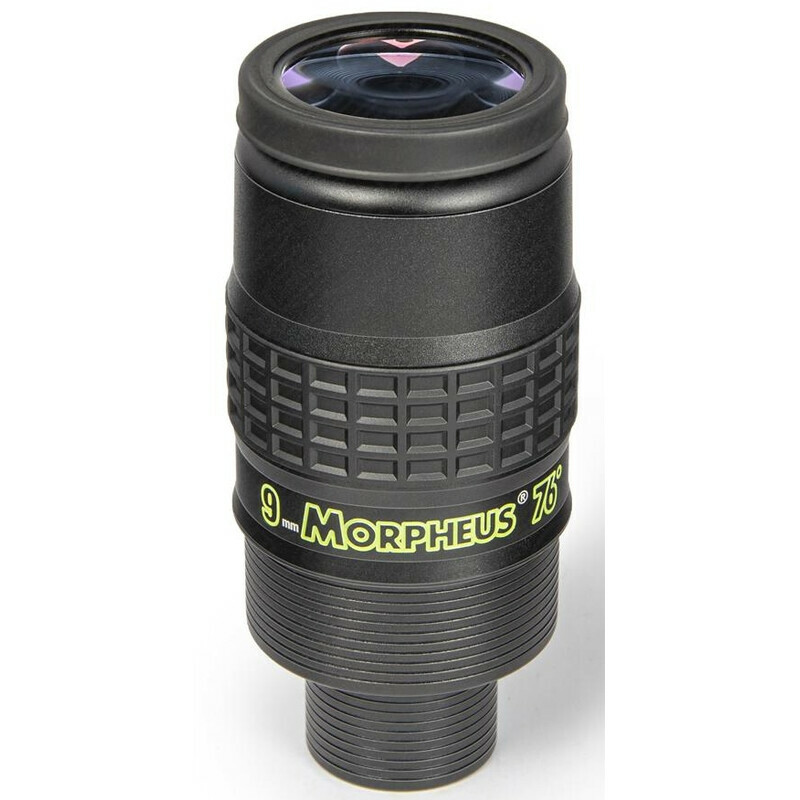 The heaviest on the Morpheus are the lens groups, the protective, waterproof case is as lightweight as possible. Foldable eyecups: In the folding eyecup , a metal ring with M43 thread is incorporated. 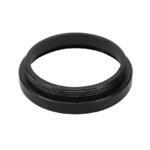 So a soft and smooth eyecup is possible, which can be screwed at the same time firmly with the eyepiece. 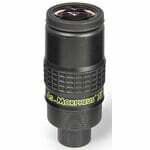 The second eyecup has a sidelight as stray light protection and is intended primarily for use on the binocular. Both have been designed for the best comfort and eye relief for most observers - including those wearing glasses - and protect the M43 thread described overleaf. 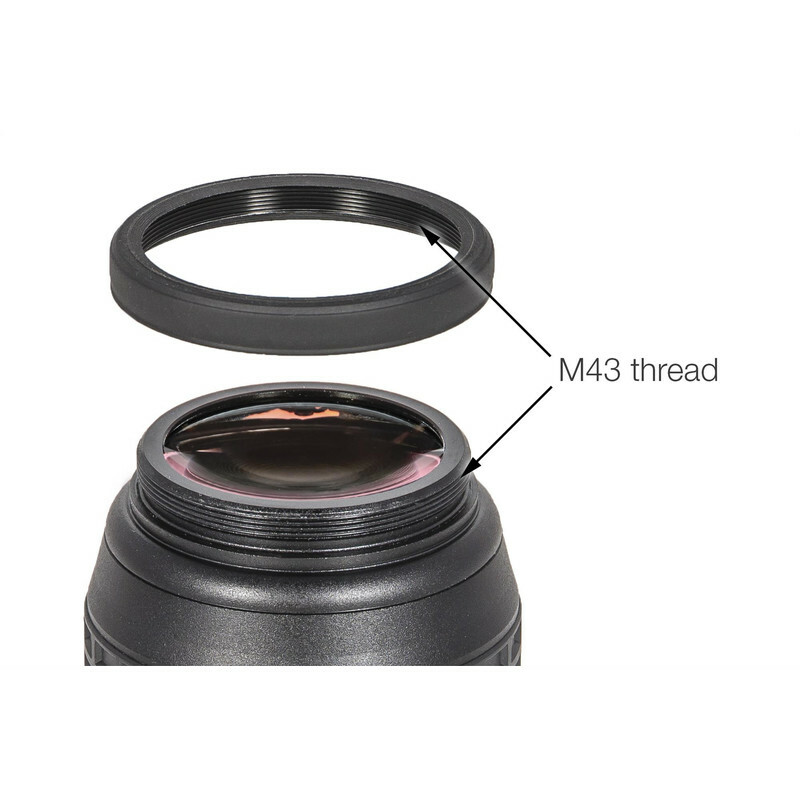 The M43 extension is used for the extended adjustment of the eye distance as well as for the connection of cameras with M43 thread. Safety features : The 1.25 "and 2" end caps have the new Baader Safety Kerf anti -slip device. This creates a perfect compromise between smooth receptacles and the usual, wide safety grooves. 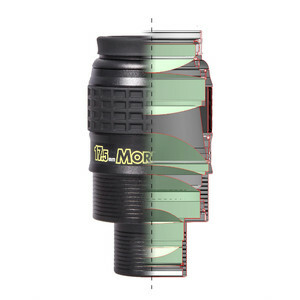 The many small notches create many stopping points when smooth eyepieces are already slipping, while avoiding the problems such as tilting that can occur with a misplaced safety groove. 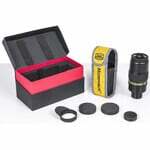 And when you pick up the eyepieces, the large rubber ring with waffle structure provides a secure hold. Photo / Video Adaptation: Each Morpheus has a concealed M43 thread for connecting the Baader Hyperion M43 / T2 rings (see "Recommended Accessories"). 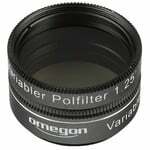 Thus, virtually any better camera can be screwed directly to the eyepiece, very stable and, if necessary, with minimal distance to avoid vignetting. 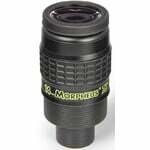 Each Morpheus wide-angle eyepiece can be plugged into either a 1.25 " eyepiece or a 2" pull-out. They are equipped with a luminescent labeling of the focal length, so you need for a quick eyepiece change no flashlight. The holster bag with loop protects the eyepiece and can be used as a belt pouch or attached to the tripod. 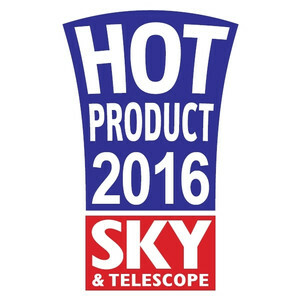 Review "Sky at Night Magazine"